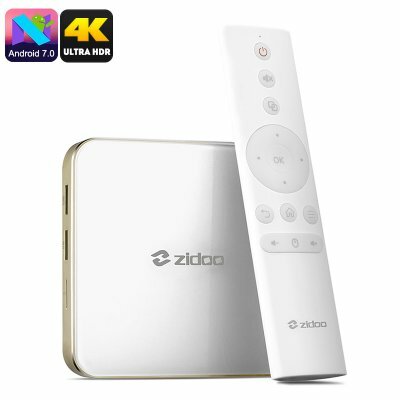 Successfully Added Zidoo H6 Pro Android TV Box - Android 7.0 OS, 2GB DDR4 RAM, Quad Core CPU, 4K, HDR, 10Bit Color to your Shopping Cart. This new TV Box from Zidoo has a monster performance. It packs the latest Allwinner H6 Processor, offering impressive specs and includes quad core processing, a Mali T720MP GPU, and stunning 6K video decoding. Thanks to the powerful 1.8GHz Quad Core SoC, Gigabit Ethernet, Bluetooth 4.1, and high-speed USB 3.0 interface you'll experience super fast speeds for data transfer, downloading, and streaming. Equipped with the Mali T720MP GPU the Zidoo TV box has H.265/HEVC decoding that can handle 4K video decoding and output. In addition to 4K output at up to 60fps this TV box supports HDR. So when used with an HDR TV you will enjoy an image that has more realistic details that are close to the natural world. The Zidoo H6 Pro TV box also boasts 10Bit color support. This means you have a wider color gamut than older 8Bit TV boxes. So rather than a mere 16 million colors this TV box can bring images to life with an amazing 1.06 billion colors for a realistic viewing experience. This ensures you get a premium image and can pair the Zidoo TV box with a 4K ready TV for the ultimate in sports and movie entertainment. With 2GB of DDR4 RAM and the Android 7.0 operating system, the Zidoo H6 Pro has an excellent multitasking performance. When it comes to audio output this Android TV box can easily be hooked up to state of the art speakers and by using the optical SPDIF output you'll be guaranteed top quality audio without interference. Now you can have a home cinema experience that is second to none. The operating system is Android 7.0 but Zidoo has added their own special touch to this. The custom ZIUI interface brings you a beautiful and clean user experience that's setup for ease of use and intuitive navigation. 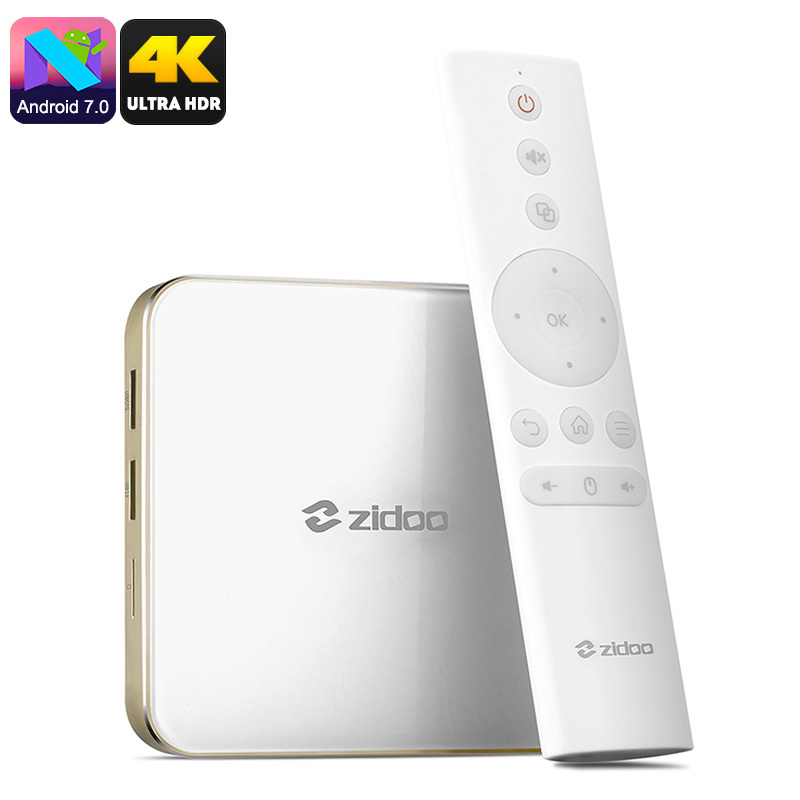 The Zidoo H6 Pro TV box comes with 12 months warranty, brought to you by the leader in electronic devices as well as wholesale Android TV Boxes..